A memory of past times when a family gathered around the piano for a musical soirée. 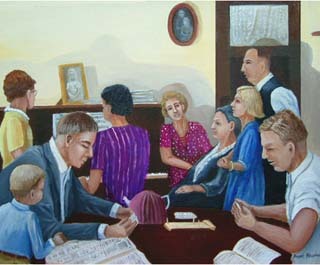 The idea for this painting came from an old photograph taken over 70 years ago. The painting was a gift for a friend.